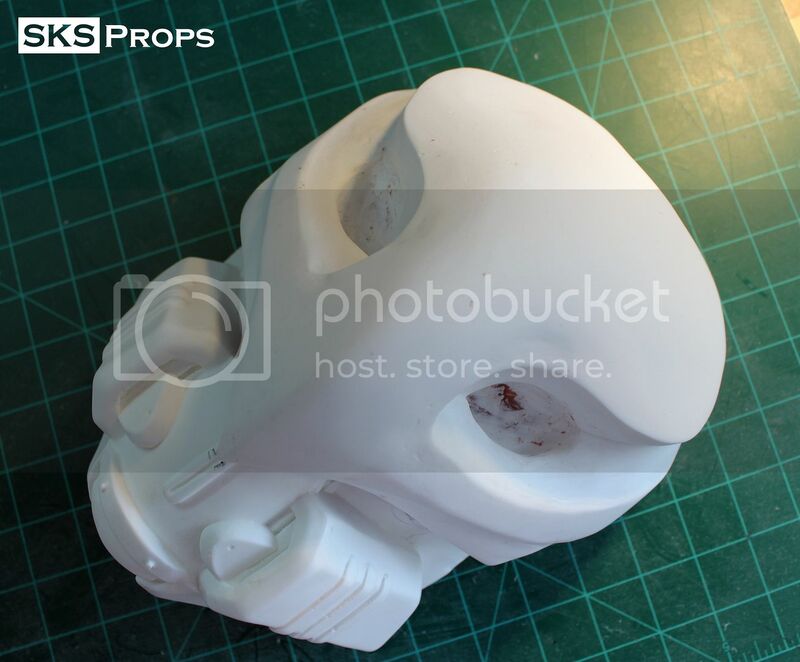 Discussion in 'Replica Costumes' started by SKS Props, May 22, 2015. 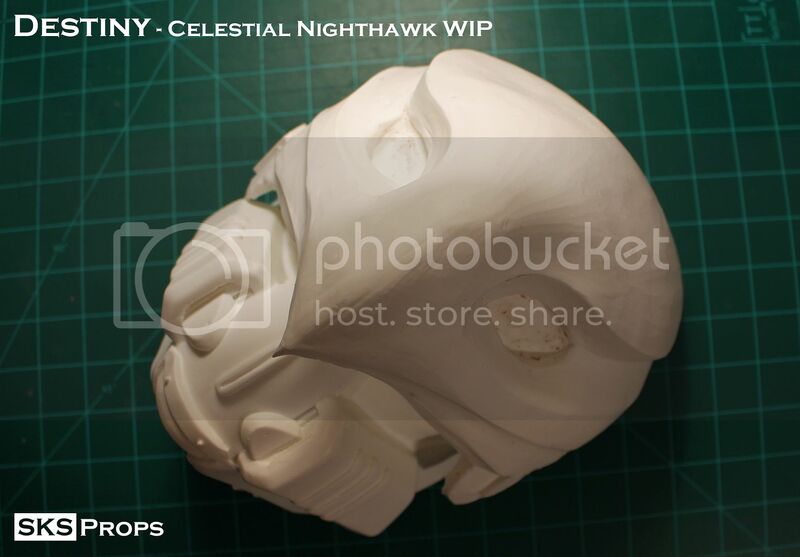 Starting a new hunter thread for my latest mask the Destiny Hunter Celestial Nighthawk. 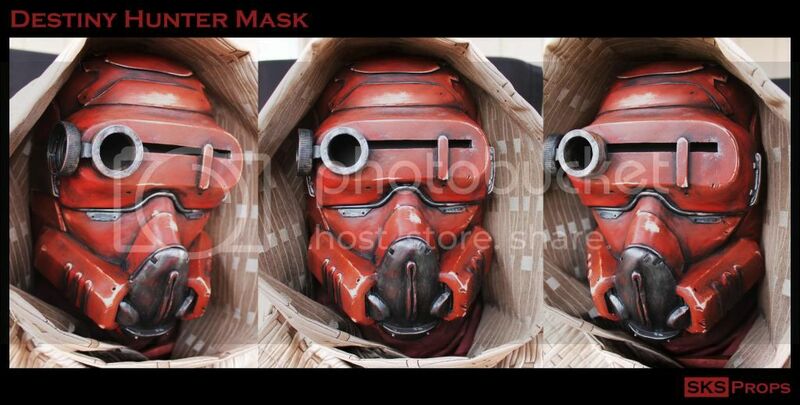 I wanted to make this one so bad that I took this commission even before the official name for the mask was released. 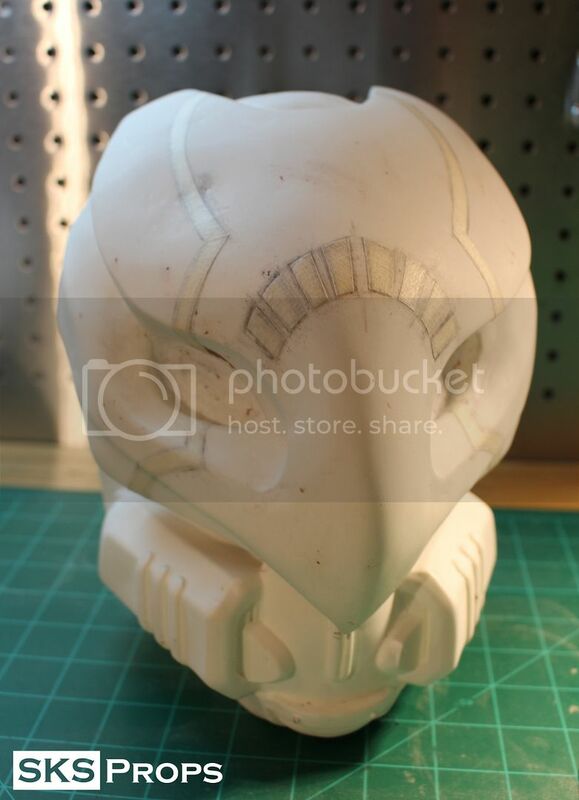 This mask should be a little easier to build because I get to use my past helmets as a base to build upon. 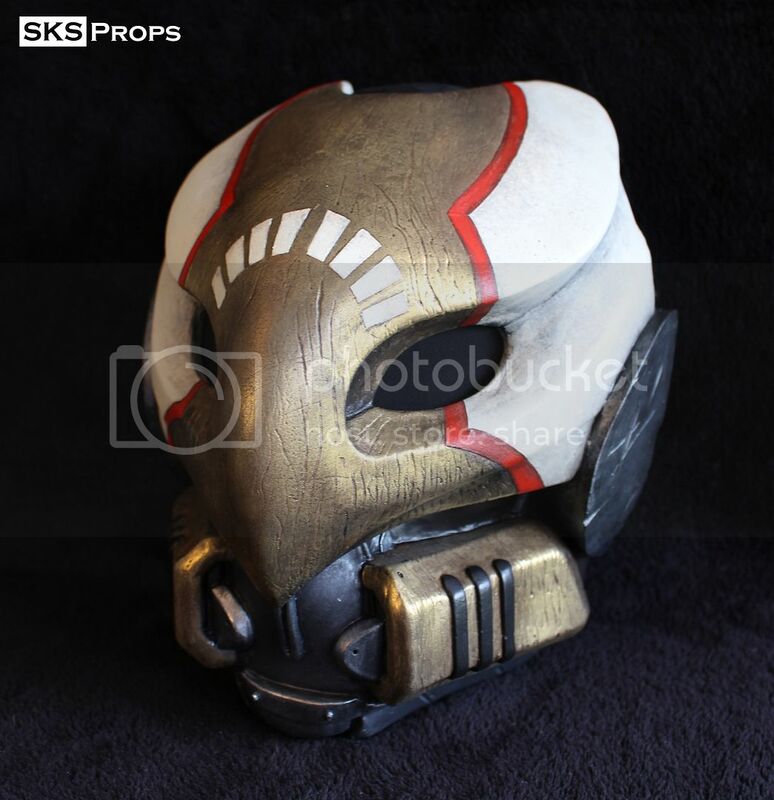 Like all of my other build I searched the internet to try and find some good reference pics. 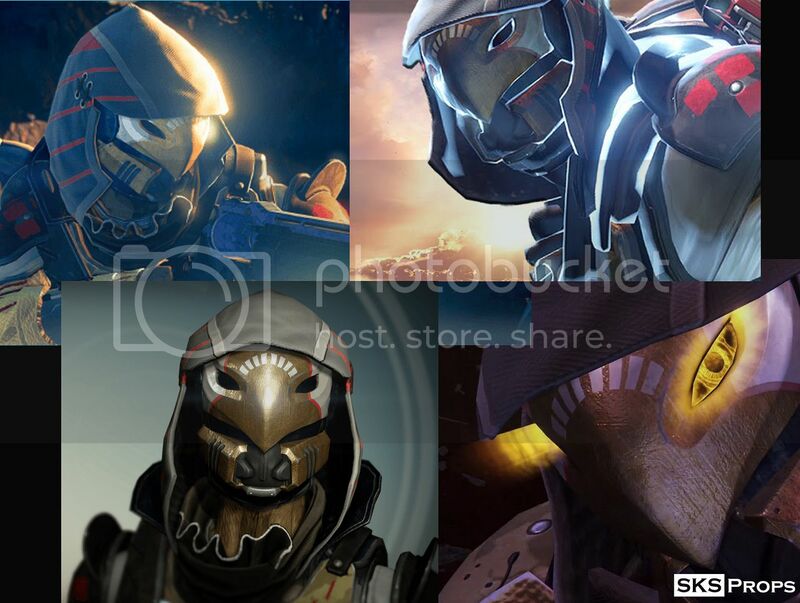 Even though the DLC just came out there are not many really good images yet. 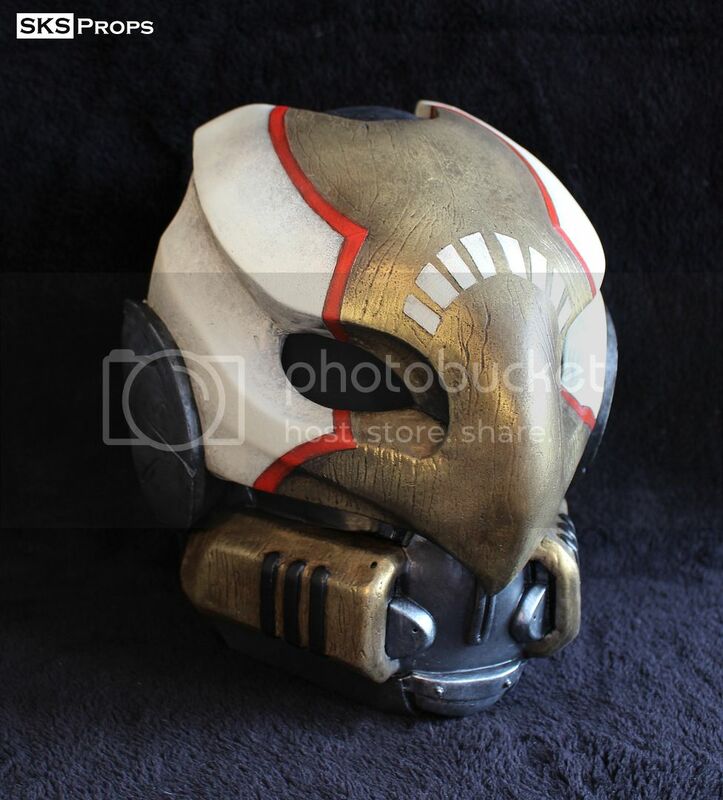 I hope by the time I get to the final details I will either have the helmet in the game or one of my friends will so I can get some better shots. Here is the collage I designed so that I can get multiple angels at once while I build up the clay. 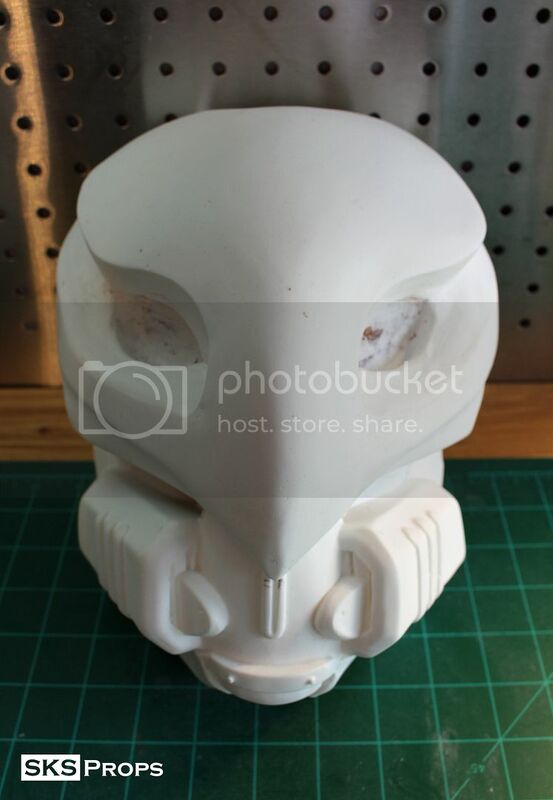 Since it uses the same lower half as my previous hunter mask I am going to build the top out of clay cast it in resin along with a lower half of my first hunter mask. 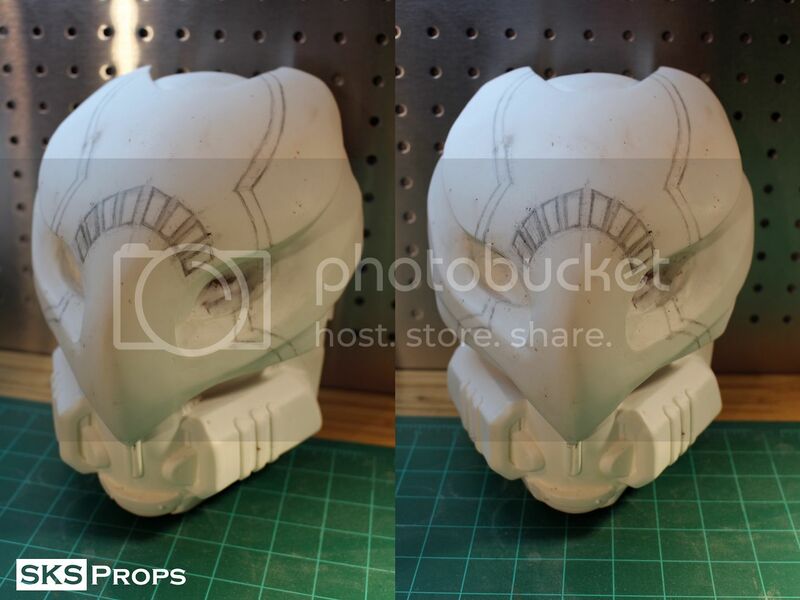 I will then combine the two casts and add the final details for the final version that will be remolded and recast. 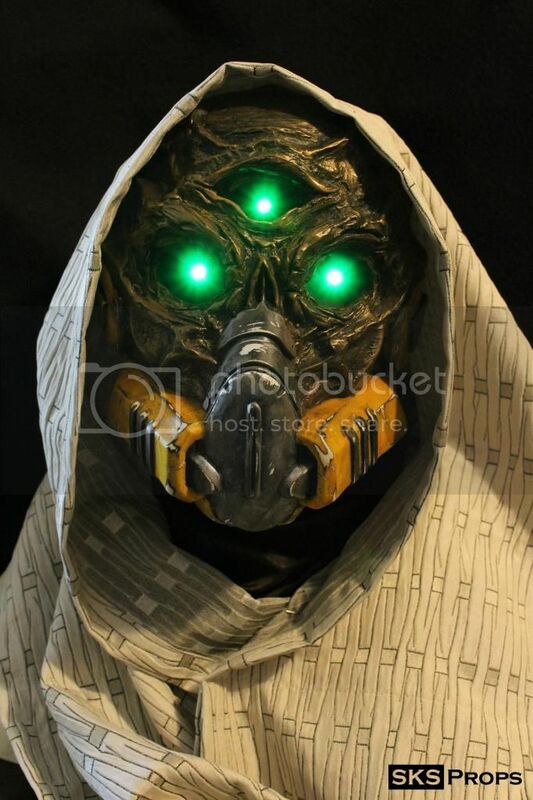 Here is a shot of the first hunter mask I created. 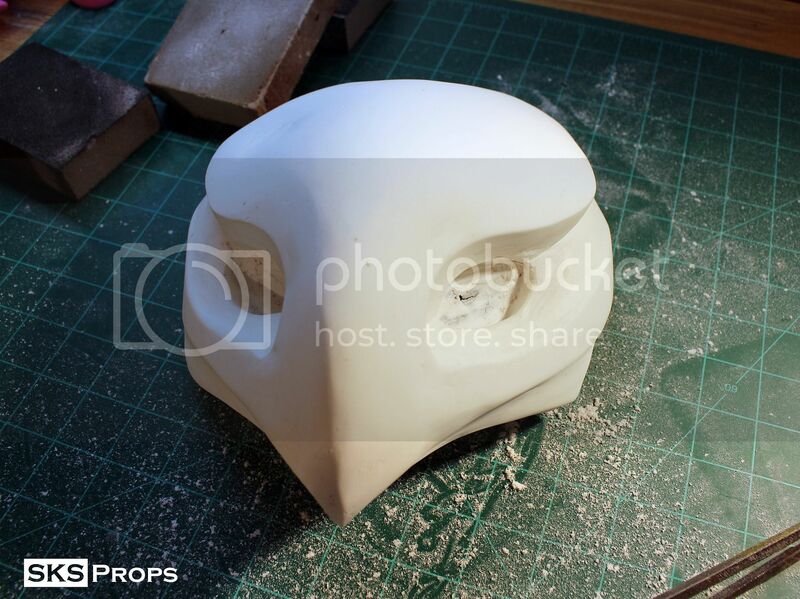 You can see how I built this in my original Hunter thread here http://www.therpf.com/showthread.php?t=228705 I started this mask by casting up a Mask of the Third Man because I like the eye placement better and want the Nighthawk to be pretty close to that in size. 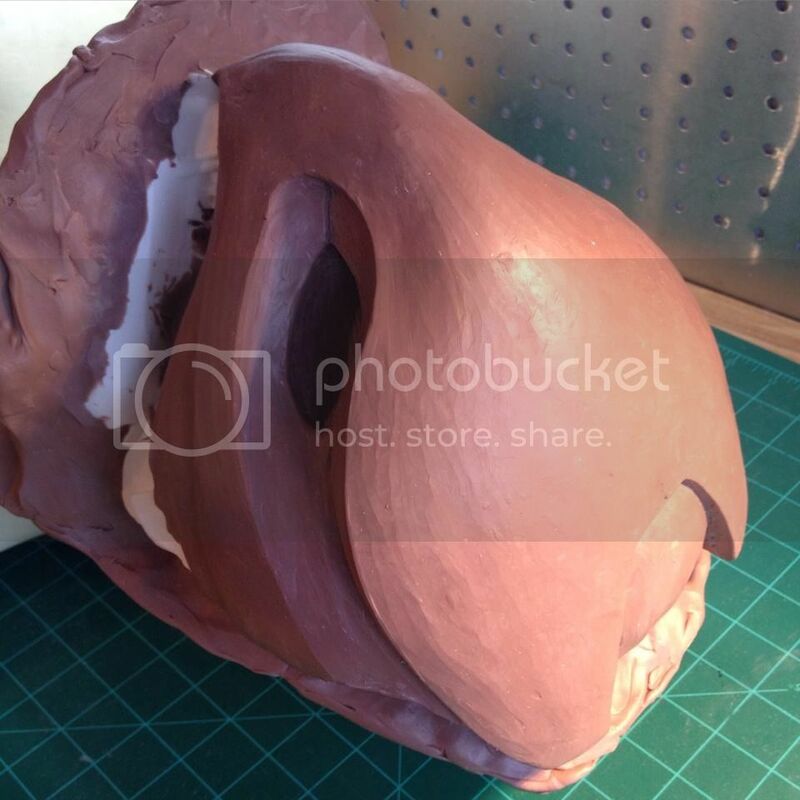 I melt down a tub of Monster Clay and begin building up the bulk of the shape adding small amounts of clay here and there. 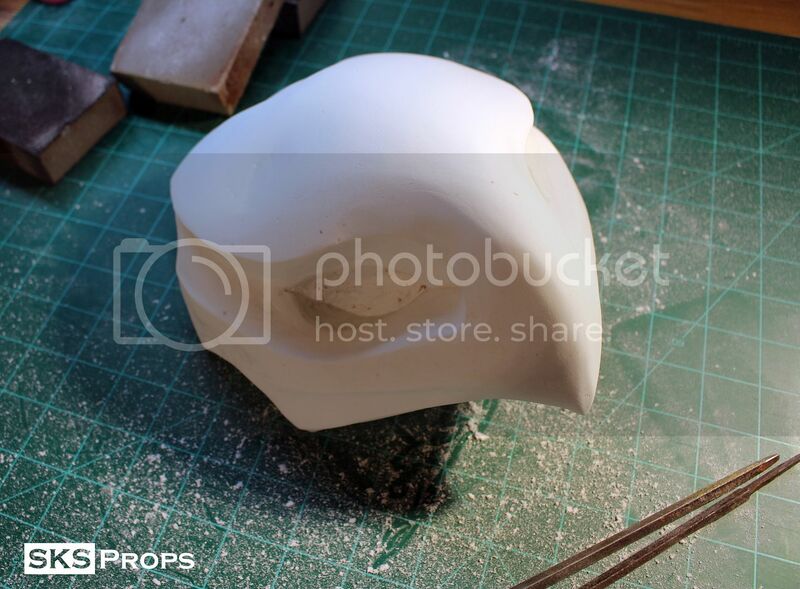 You don't want to add to much at once or start getting into details before the form is really flushed out. 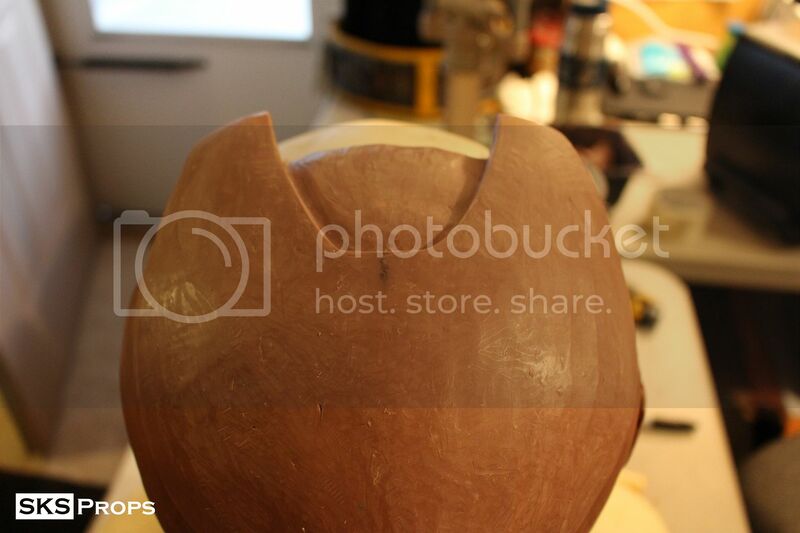 I'm getting the pics prepped and will start posting progress this next week. 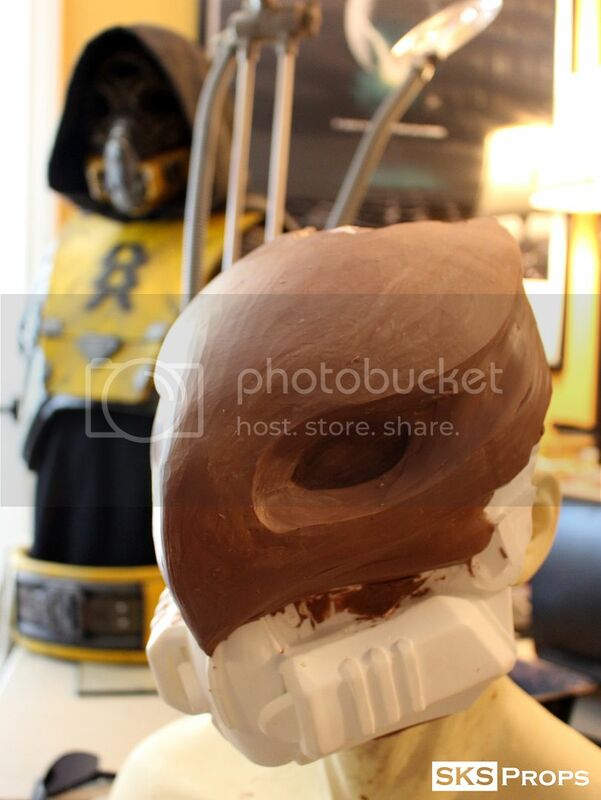 Here is a shot a little further than the last showing the profile of the helmet. 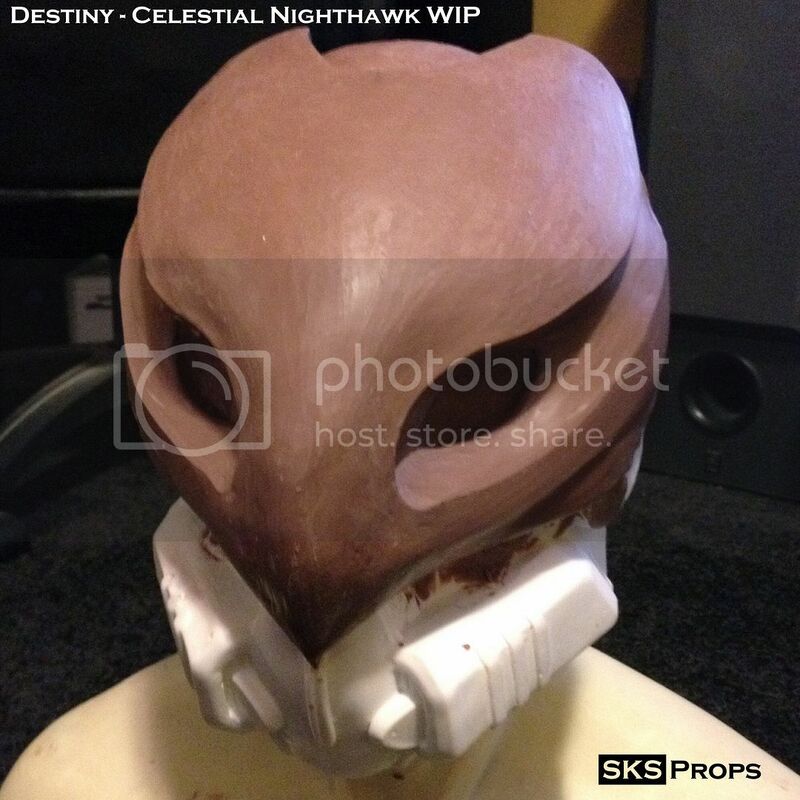 Ok now that I have got around to uploading a bunch of Destiny Celestial Nighthawk pics let go back and see more of my sculpting process. 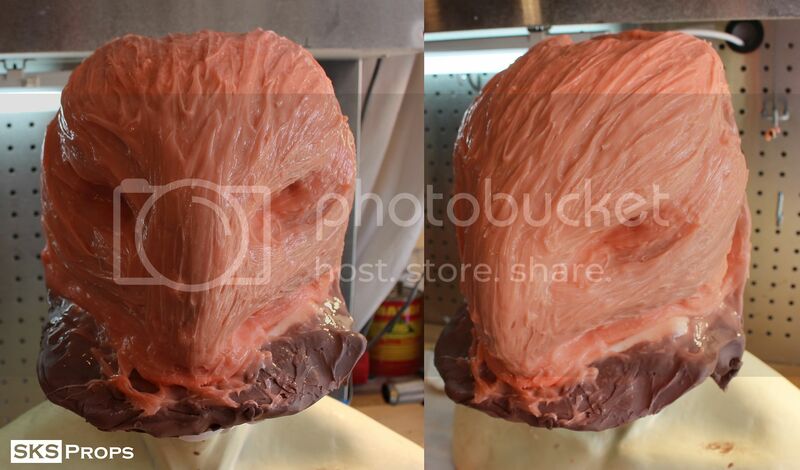 I started off by using a cast of my third man mask because I really liked the placemen of the eyes. 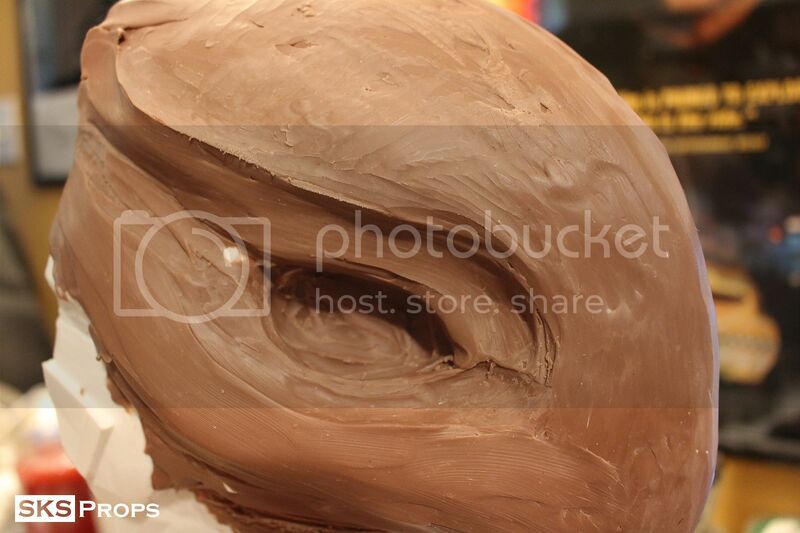 I usually start by taking small globs of Monster Clay and build up the profile and basic features. I have found I work better this way because I won't clump to much clay on at once and get lost in the overall form. 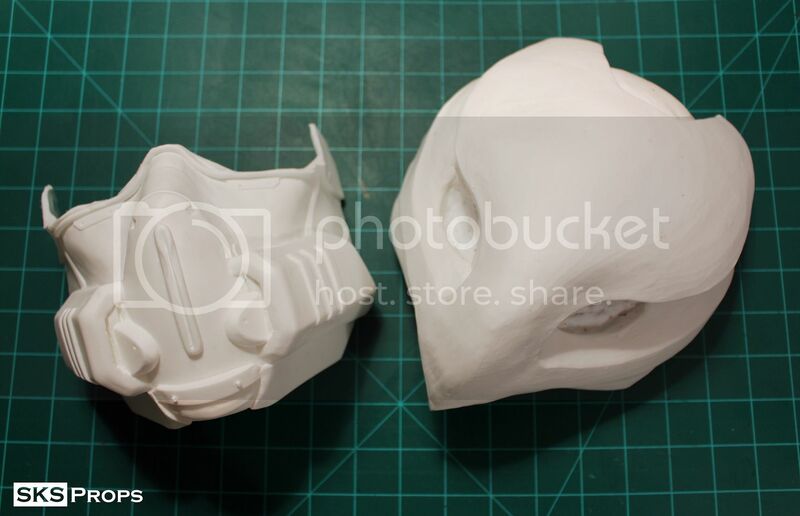 The mohawk ridge I created is used as a guide for the top and front of the mask. The sculpt still needs to remain very loose though you don't want to start putting in details and then realize that form is all wrong. 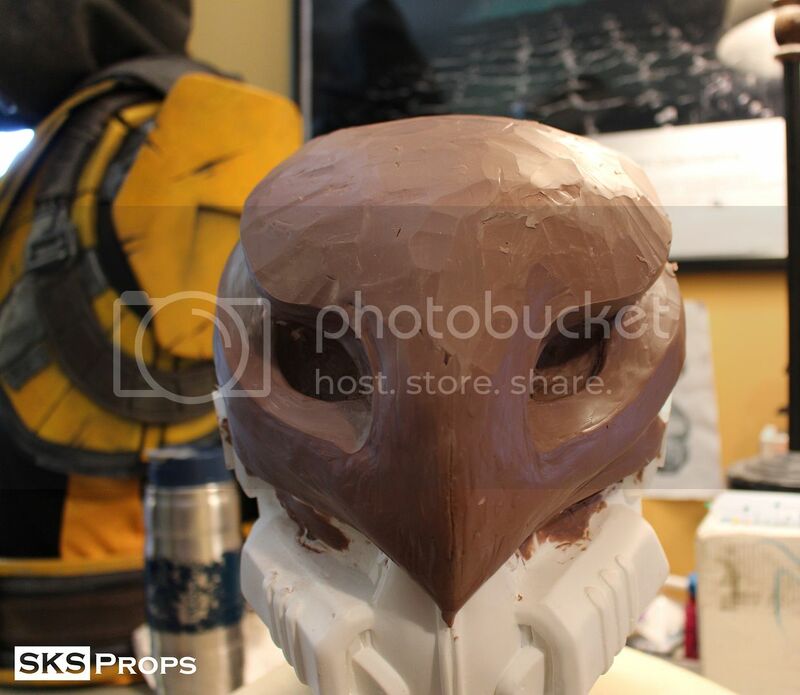 I'm going to be at Phoenix Comicon for a couple of day so I thought that I would go ahead and give you all a teaser pic showing how the Destiny Celestial Nighthawk is shaping up. 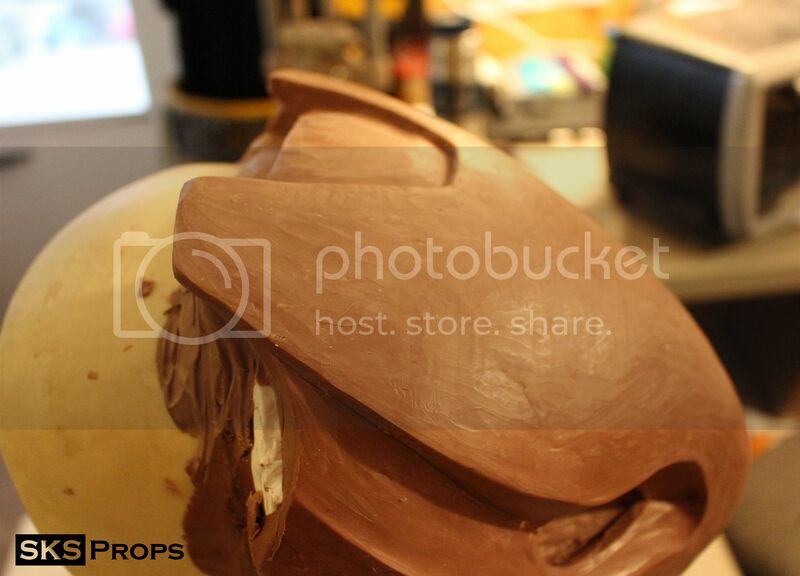 I promise that when I get back I will post more sculpting progress photos. 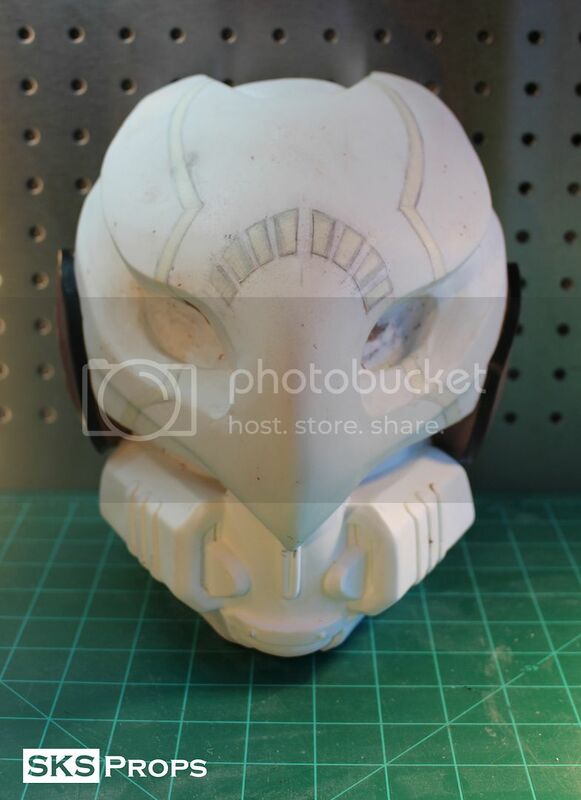 I'm going to start the "junk mold" for my Destiny Celestial Nighthawk tomorrow I'll try to take some progress pics of that. I hope to get my first rough cast this weekend!!! 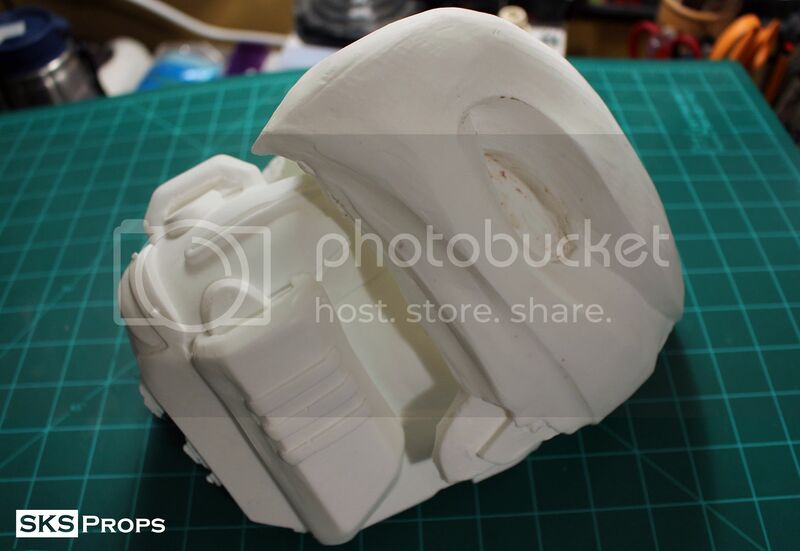 With the base sculpt complete it is time to make a "junk mold". 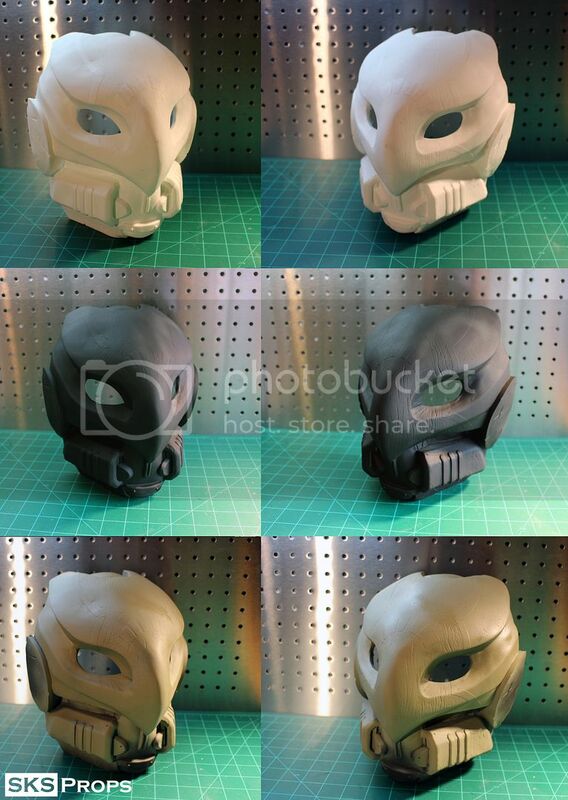 I use Smooth-on's rebound 25 to make jacket molds of my Destiny Celestial Nighthawk and another Borderlands psycho. I like to make 4-5 thin layers building up little by little. 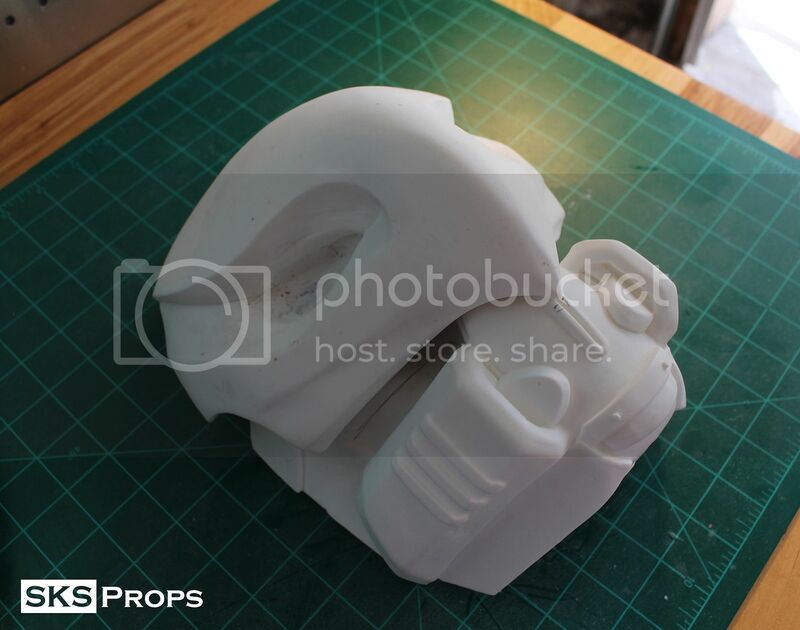 The mother mold is made out of Smooth-on Plasti Paste. 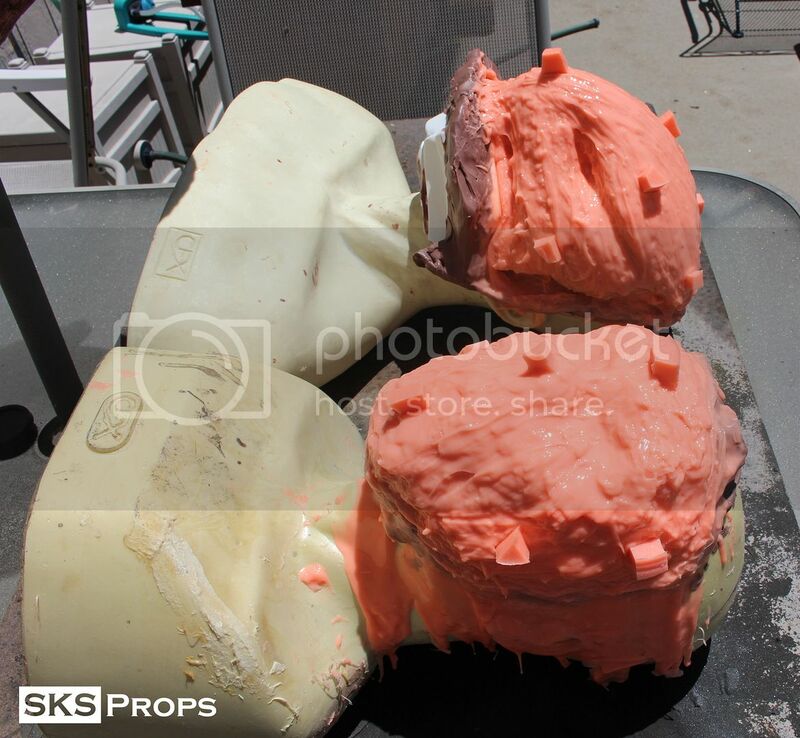 I let all of this setup overnight and took the mold off the next morning. 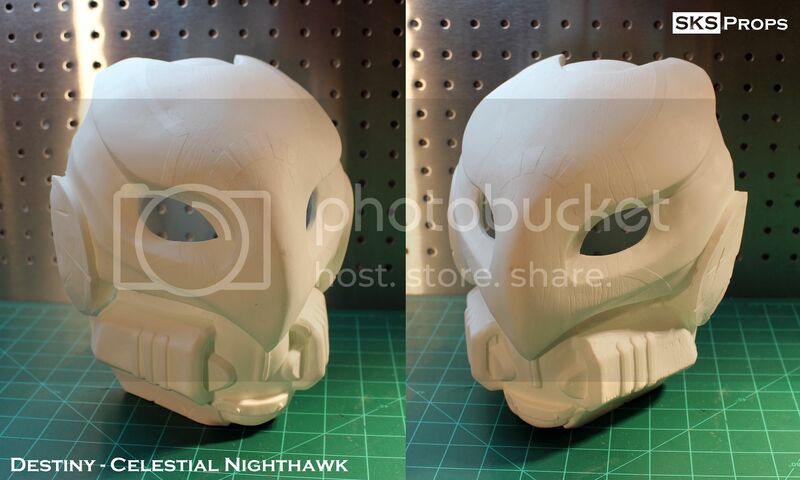 I resin cast the top of the Nighthawk and the bottom of my original Destiny rustburner mask with Smooth-on 65D . I lined these up to see how the final fit would turn out. 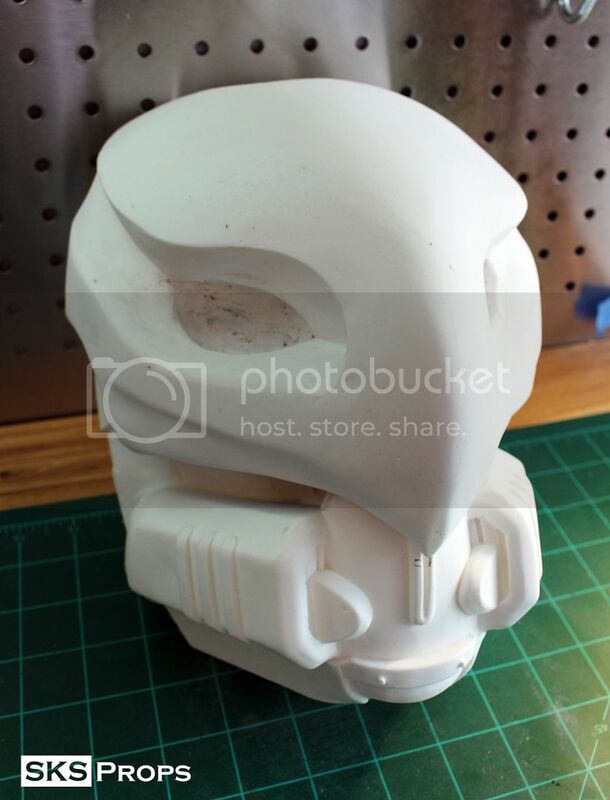 I will now start to sand and smooth out all of the imperfections for the final cast. 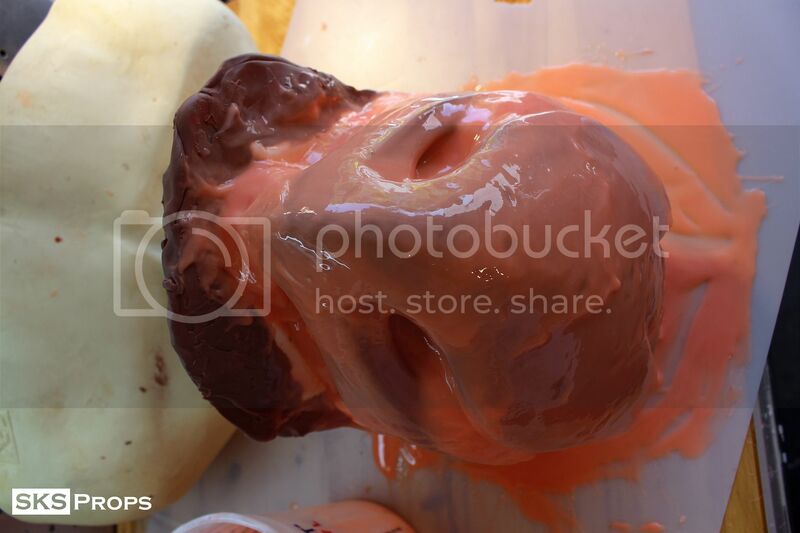 MrSykes, The Schlitzie and Angel Virus like this. 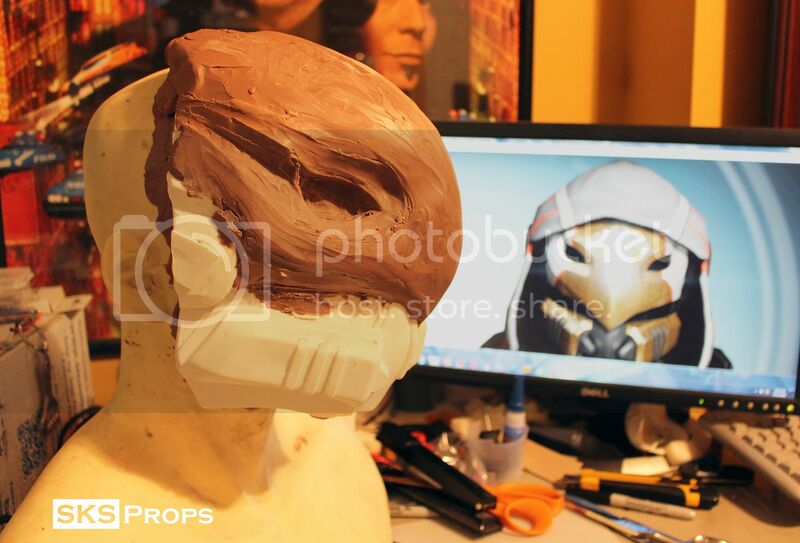 Destiny Celestial Nighthawk - This is why I make a junk mold. 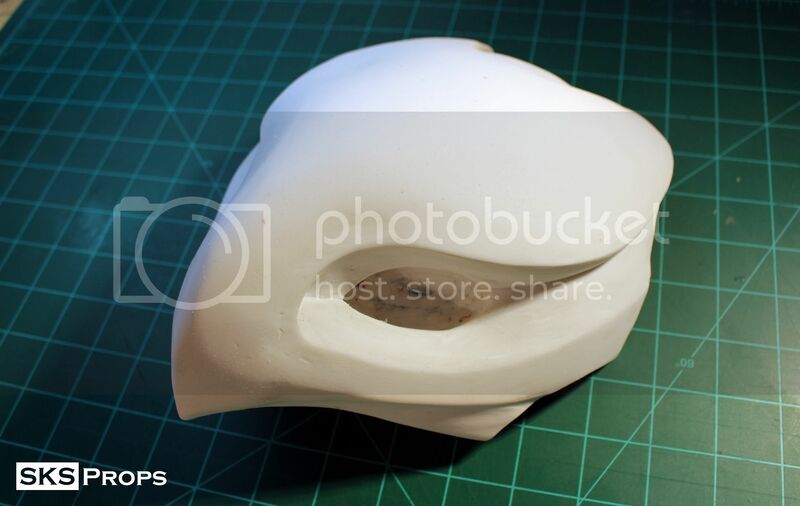 Look at how smooth and beautiful the top of this mask got after I was able to make a resin cast and sand it down. 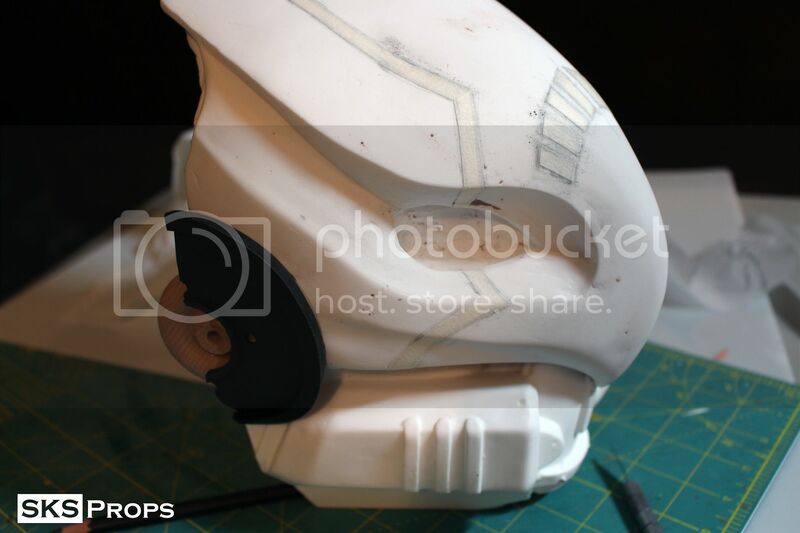 I plan on leaving some of the imperfections just because I like the hand made look that you don't get from a 3d print. 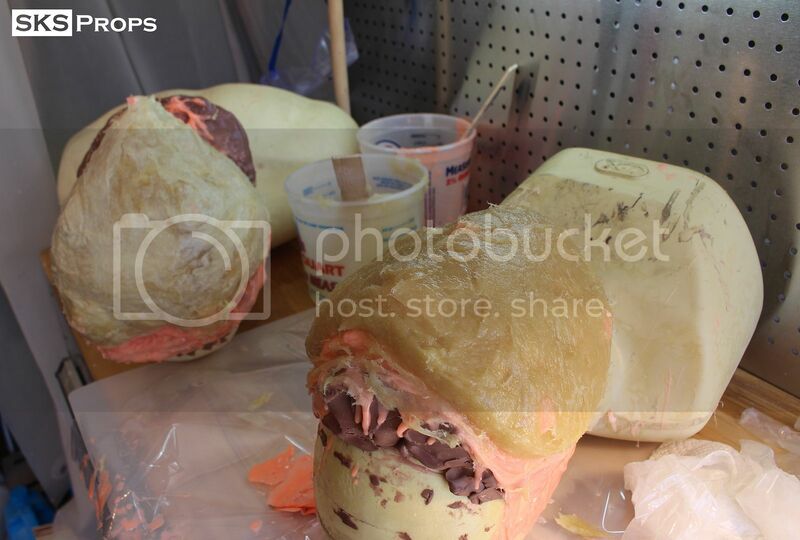 I attached the two halves together and filled the gaps with monster clay. 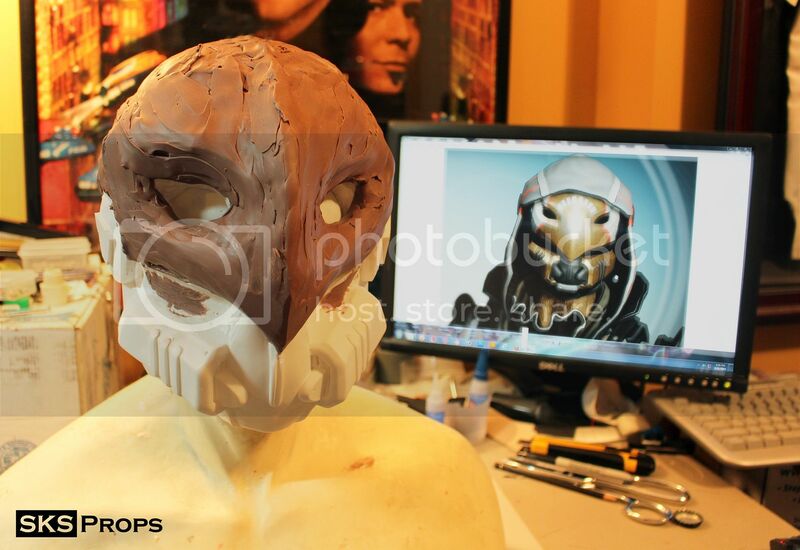 Next will be detailing the paint design on the upper mask. DarkJester and The Schlitzie like this. 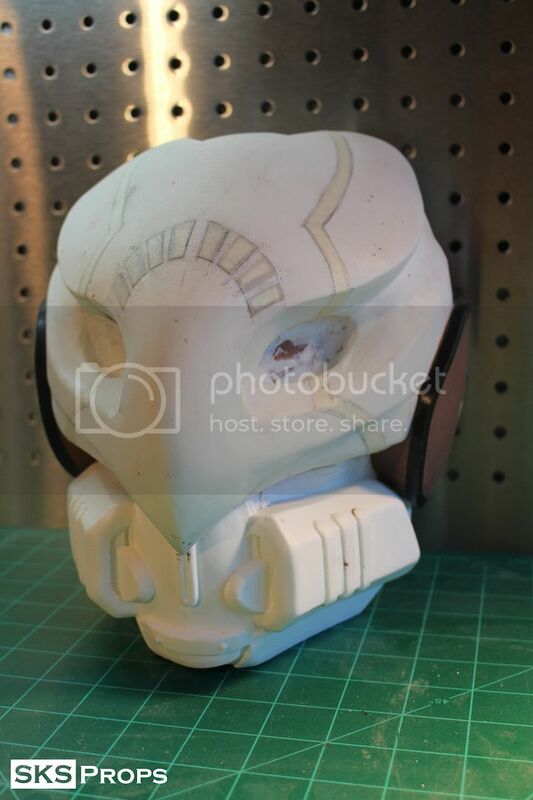 I made the "ears" for my Destiny Celestial Nighthawk by using found objects. 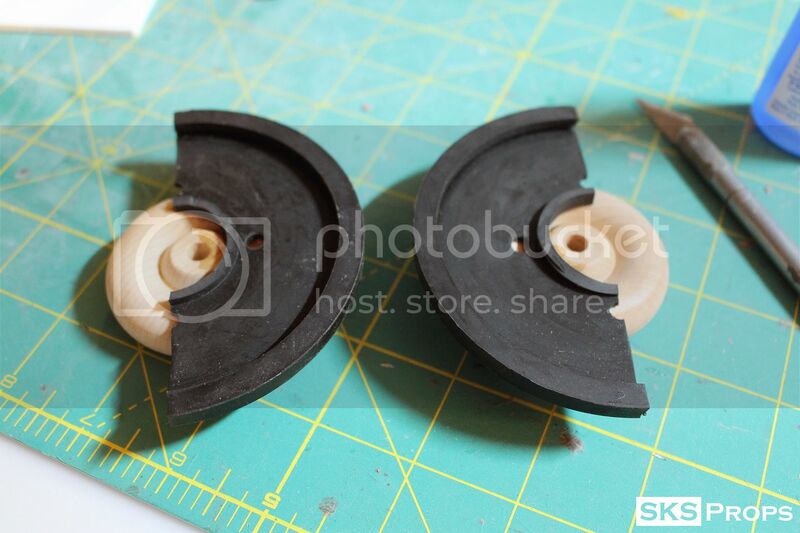 The half circles were made out of a rubber gasket cut to fit and then filled with monster clay. 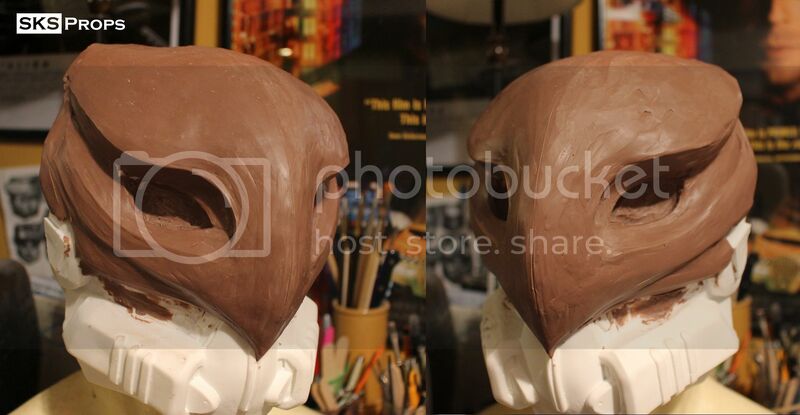 The detail lines on the beak and respirators were carved out using a couple different small Dremel bits. 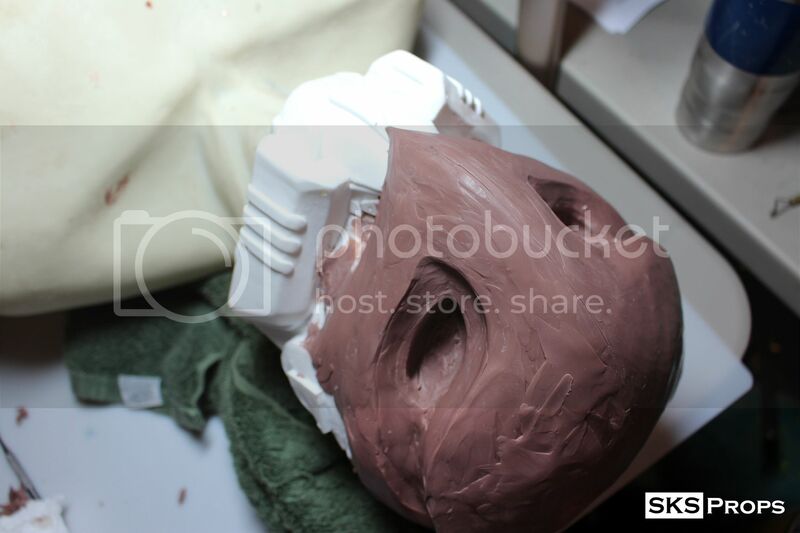 Almost ready for molding!!! RacerMachX and The Schlitzie like this. 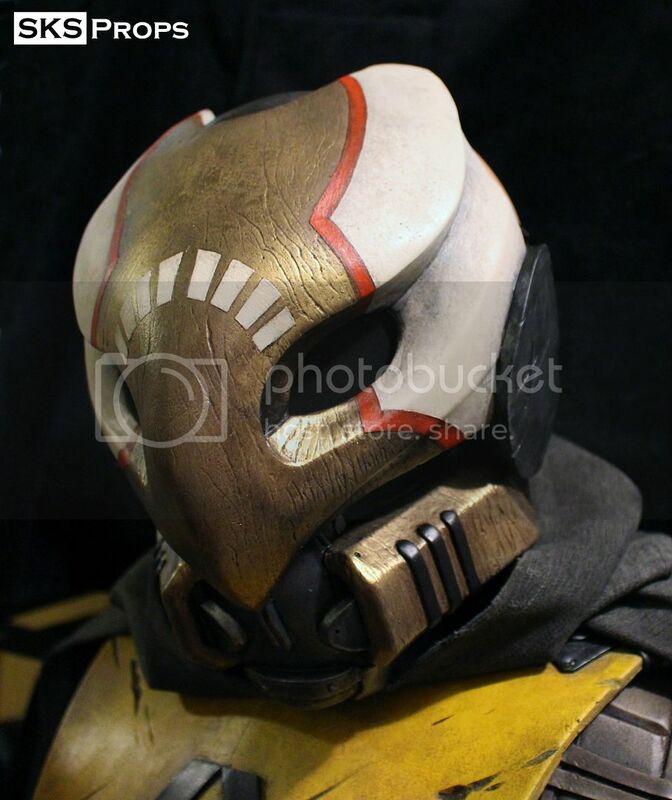 First official cast of my Destiny Celestial Nighthawk. I can't wait to get some paint on this!!! Man that looks awesome! Will you be adding lights to the eyes?... You know, for when you aim at something, lol. 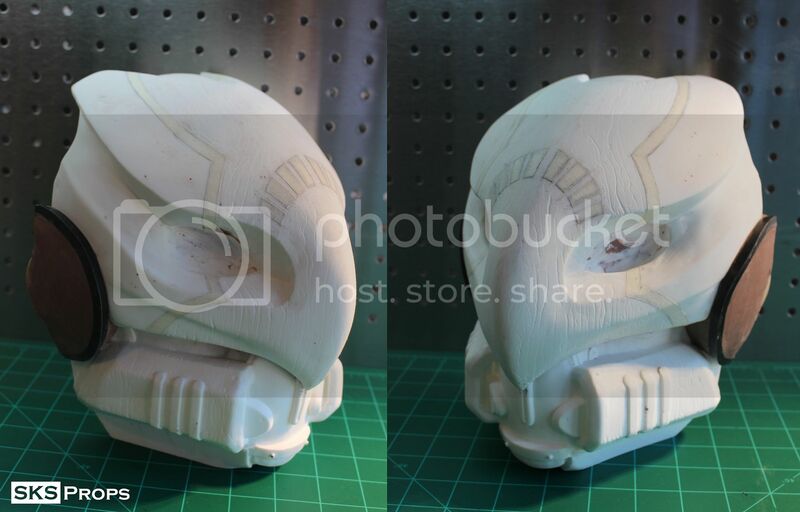 Painting process on my Destiny Celestial Nighthawk Helmet (Mask)- The raw masks get cleaned up using a Dremel and a sanding sponge. 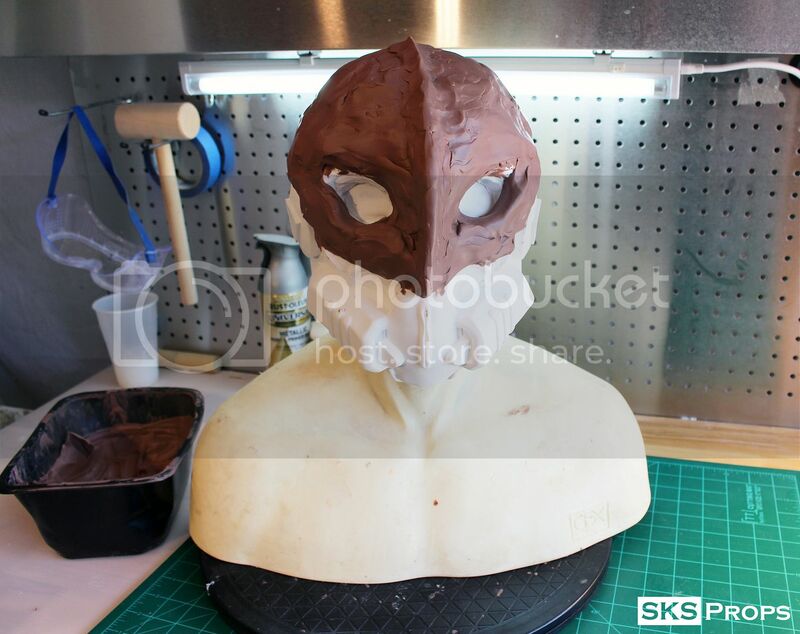 Once clean it is sprayed with a very thin layer of Krylon Black primer and left to dry for several hours. Next a thin layer of Camo Beige is applied and once again left to dry for several hours. 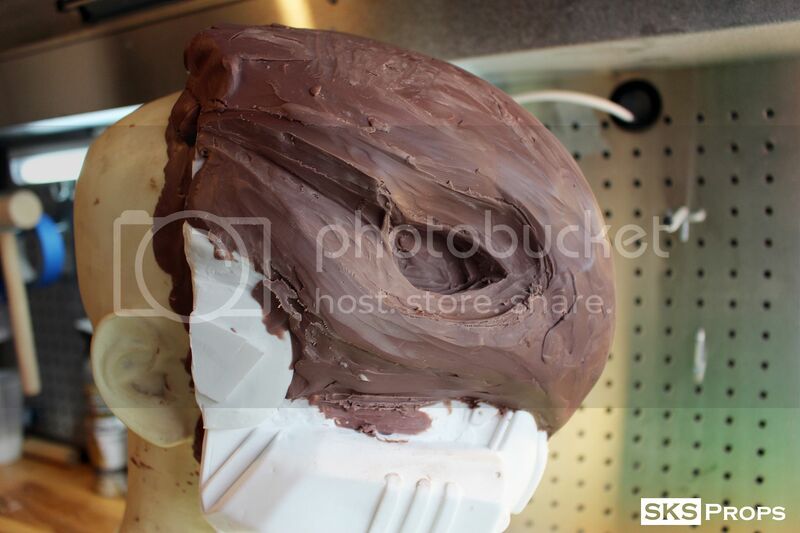 Unbleached Titanium is hand brushed onto the upper winged areas of the mask and a dark Umber Brown wash is mop brushed onto the beak. 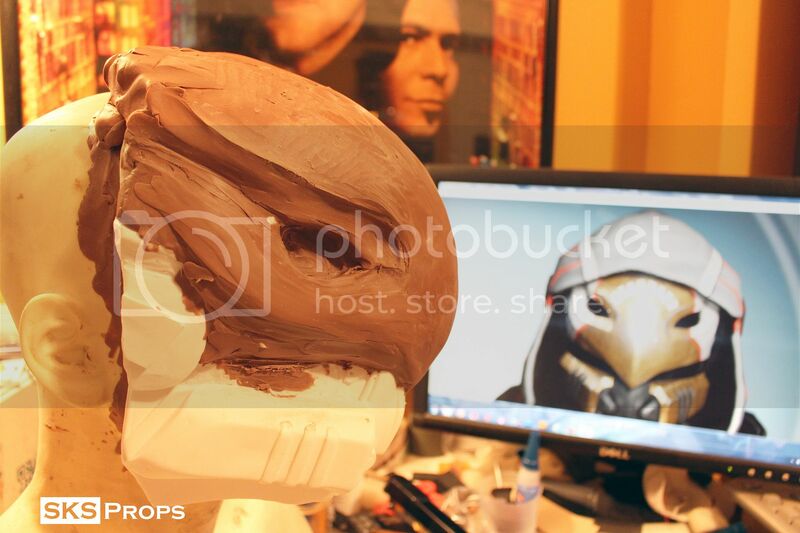 Iridescent Bronze is dry brushed over the beak and top of the helmet leaving the dark wash in the detailed crevasses. Parchment is dry brushed over the Unbleached Titanium on the edges for a highlight effect. 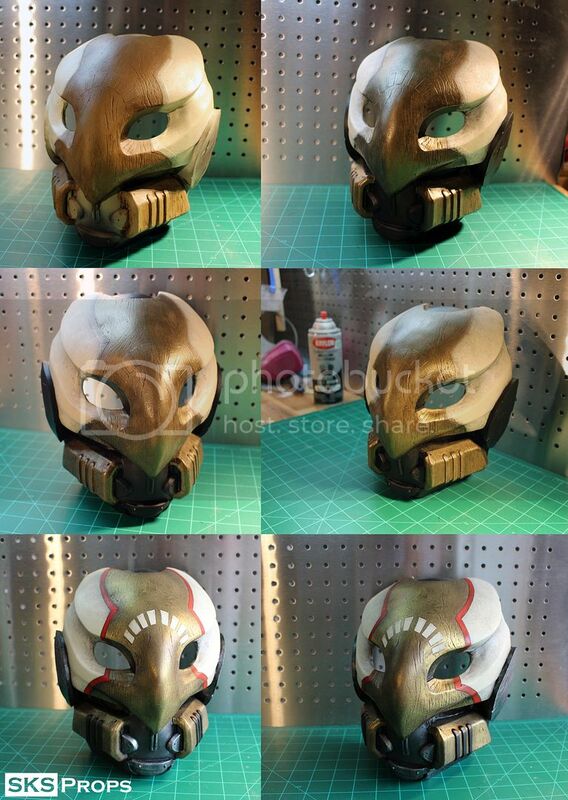 Bright gold is dry brushed over the Iridescent Bronze again on the highlight areas. 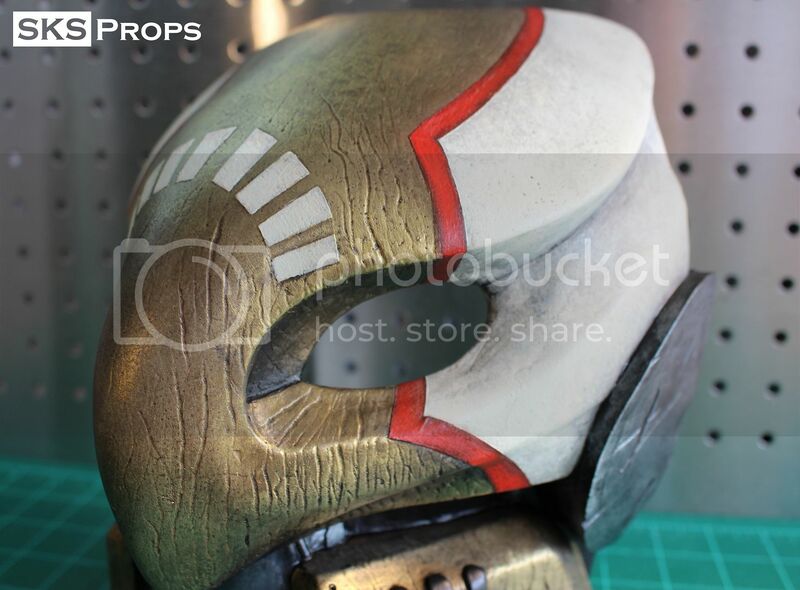 The final details are brushed in using Cadmium Red for the stripes and the same Unbleached Titanium and Parchment for the shapes above the brow. 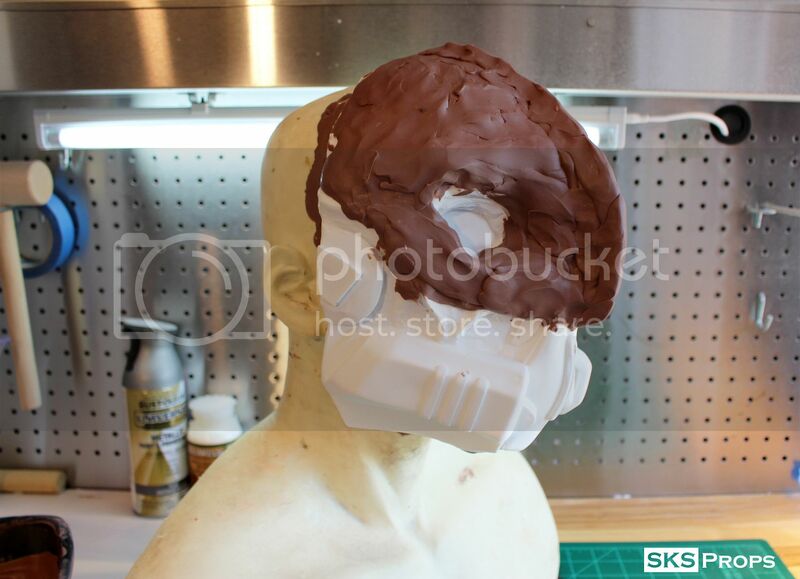 Mars black is used in the recesses and the details on the respirators. Bright silver is dry brushed over the mouthpiece and ear covers. Elven Doorstop and 5xxicemanxx5 like this. 5xxicemanxx5 and SKS Props like this. Wow! Impressive work! 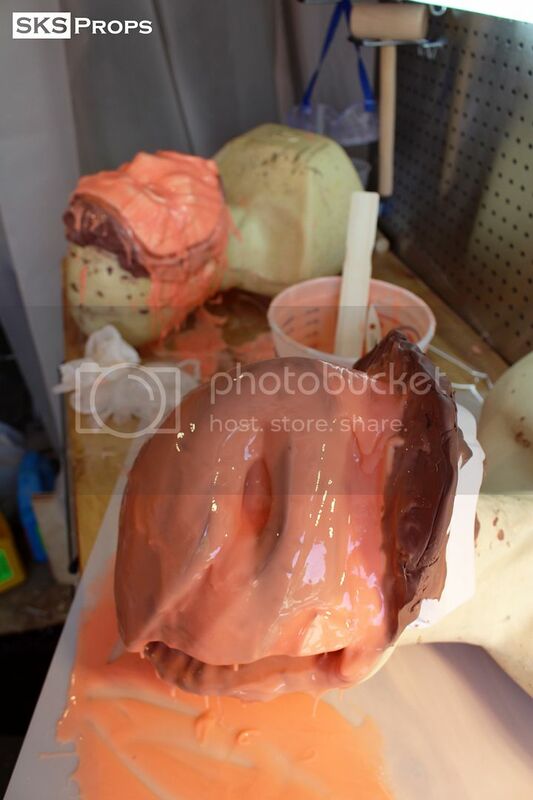 I keep telling myself I need to get into sculpting and molding and what not, but then I see skill like this and become so overwhelmed! You are a master of your craft, amazing piece! 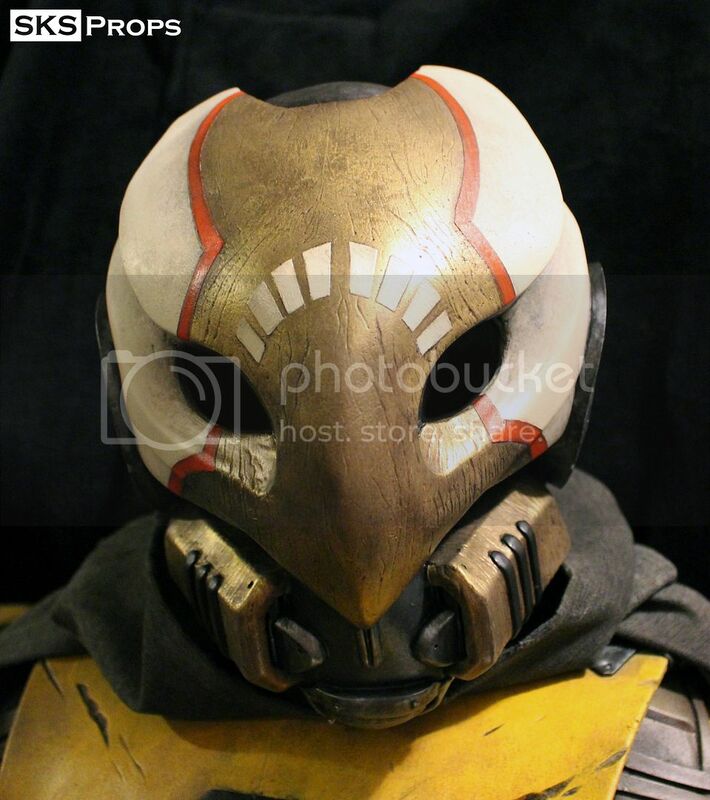 Destiny 2: Wise Warlock (AKA Ego Talon IV) cosplay build thread!